Barbican Life : Residents’ offer on Barbican Gin! 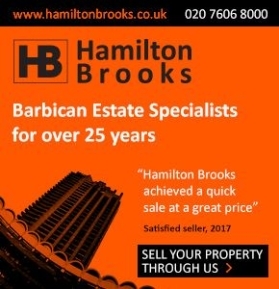 You are here: Home / News / Area News / Residents’ offer on Barbican Gin! Online Offer – £5.00 off Barbican x ELLC Gin for residents when shopping online (collection from store only). Normal Retail Price £35.00. T&C’s – eligible on online orders, collection in store only. This discount cannot be used in conjunction with any other discount and only applies to purchases of Barbican Gin made online. Use this link to make your purchase! The Barbican has announced a collaboration with East London Liquor Company to launch a special edition Barbican London Dry Gin, which will be available to buy in the Barbican Shop and drink in the centre’s bars from 6 March 2019. The gin has been distilled using the finest 100% British wheat spirit infused with lemon & grapefruit peel, coriander, angelica root, juniper berries, cubeb berries and cardamom, and features a label design inspired by the iconic Brutalist architecture of the Barbican. To celebrate its launch, the head mixologist at the Barbican’s Martini Bar has created a ‘Signature’ Barbican Gin and Elderflower Martini cocktail, which blends the Barbican London Dry Gin with elderflower liqueur, apple juice, lemon juice and fresh ginger to release the bold, fresh, citrus flavours of the gin. The ‘Signature’ cocktail will be served at the Martini Bar on the first floor of the Barbican Centre throughout the spring and summer. 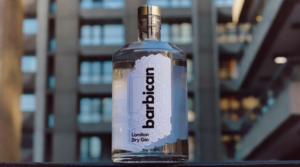 Barbican London Dry Gin is a collaborative labelling of East London Liquor Company’s ‘London Dry Gin’, a juniper-forward, well-balanced gin at 40% ABV. The first whisky, gin and vodka distillery to find its home in east London in over 100 years, East London Liquor Company has been at the forefront of the boom in quality spirits since it began distilling in Bow Wharf by Victoria Park in 2014. Led by its founder Alex Wolpert, East London Liquor Company continues to produce exceptional, award-winning spirits, with recent accolades including Gold and Silver awards at the San Francisco World Spirits Competition 2018, a Masters award at the Gin Masters 2016, and a Gold award at The Distillery Masters 2016. Barbican London Dry Gin will be available to buy in the Barbican Shop on Level G of the Barbican Centre from 6 March, and the 70cl bottle will retail at £35. A special tasting event will also take place in the Barbican Shop in April. We’ll let you know as soon as we hear more about that!